Behaviour Analysis is the precise, scientific study of behaviour. Therefore, Applied Behaviour Analysis (ABA) means using behavioural principles of motivation and learning in everyday life to gradually make the desired changes in a particular behaviour. Behaviour analysts’ work dates back to the 1960s where much time has been dedicated to working with children diagnosed with autism and similar disorders in order to develop the array of ABA techniques available today. With a reliable evidence based background, these techniques are implemented to effectively develop valuable skills from childhood all through adulthood. These techniques have indeed proved to be effective across various age ranges, disorders and disabilities, and across different settings and types of behaviours. Learning how to speak and communicate, learning how to play, how to socialize; these are all kinds of behaviours, which can be taught and gained as skills to practice on a daily basis in the natural environment. Thus, early intensive teaching intervention can help many children break through the learning blockage brought on by autism. ABA strategies have been central in helping people learn and gain a number of essential skills, including social, play, communicative and self-care skills while also reducing the presence of undesirable maladaptive behaviours like stereotypical, aggressive and self-injurious behaviour. To understand the principles of behaviour analysis, it is crucial to understand the focus it places on the exact way that learning actually happens. It looks at the way a particular technique would increase a desired behaviour while another may decrease another unwanted behaviour that would be harmful or obstruct the learning process. A positive action would be rewarded with something desirable that would motivate the learner to repeat the same behaviour and be rewarded again. This way, the behaviour is being positively reinforced and is likely to happen again, as intended. On the other hand, a particular behaviour that leads only to a negative consequence is less likely to happen again. Children are usually able to learn, play and socialize independently given the right conditions. Children with autism, however, find it a lot more difficult to learn from their surrounding environment alone, needing a much more structured set of surrounding conditions to help them gain the skillset that one would usually gain ‘naturally’. ABA uses these behavioural learning principles to create the right structured setting for a child to be able to learn effectively and at a quick rate. The goal of ABA therapy is to help children learn the prerequisite skills needed to learn naturally, without intervention. These techniques can be implemented both in one-to-one therapy sessions with a trained behaviour analyst, or in more natural environments such as the child’s home or school, which is useful to generalize learned skills. Reinforcement boils down simply to something that we desire, that we like. In more behavioural terms, this means that a behaviour is more likely to increase as intended when it is presented with a reinforcing stimuli; a motivating factor. In an ABA context, reinforcement then refers to a variety of preferred items and desired activities that would motivate the child. Naturally, this would involve finding out what the child’s preferences are at the time and as they change. Positive reinforcement is when these individualized reinforcers are presented to the learner to increase a particular behaviour. For instance, the learner claps their hands when they are asked to, and they are rewarded with a light up toy they enjoy playing with. The child is then more likely to clap their hand again when asked, in order to be able to play with the light up toy again. Negative reinforcement is when an aversive, undesired stimulus is consistently removed to increase a particular behaviour. For instance, the learner helps with cleaning up their bedroom, so they are rewarded by not having to wash the dishes in the evening, a chore that they usually hate. This makes them more likely help cleaning up again so they can avoid doing the dishes once again. Conversely, punishment is used to decrease a particular behaviour. In behavioural terms, punishment does not simply mean physical disciplining or giving the learner a time out. Rather, it involves presenting or removing unpleasant consequences in order to decrease a particular behaviour. When the targeted behaviour takes place, penalties could include not giving the child access to preferred items and activities, or complete overcorrection procedures like having to pick up all the garbage in the room, even though the child only threw one piece of garbage on the floor. Differential reinforcement, another strategy, focuses on increasing desirable behaviours and decreasing the unwanted behaviours by using extinction instead of punishment. Extinction is simply taking away the positive reinforcer that was previously being presented during the targeted behaviour. An example of this is a situation where a child would scream and cry, knowing that the mother would give them chocolate (a positive reinforcer) to stop the tantrum (the behaviour). Extinction would then involve the mother refusing to give the child the chocolate at any point during the tantrum behaviour. The crucial factors involved when using reinforcement are firstly, making sure that the reinforcer is actually motivating enough that an increase in the targeted behaviour can then be expected. Moreover, it is important that the objects or activities being used as reinforcers are changed up and rotated frequently to make sure the learner does not grow neutral or bored of them. This means that letting the learner have access to these reinforcers at any other time besides when a particular behaviour is expected of them will also lessen the strength of the reinforcer. Furthermore, in order for reinforcement to help in modelling and shaping the desired particular behaviour, the reinforcer must be presented immediately after the correct response from the learner is given. This will help the learner see the relationship between their own response and the following consequence, be it good or bad. Once a consistent system of reinforcement has been established and the data shows consistent positive results, the reinforcement will gradually begin to be faded out to match the natural environment’s system of reinforcement. What is Discrete Trial Teaching in ABA? This common and efficient ABA strategy involves helping the learner gain specific skills and behaviours by breaking the task down into simpler, separate parts to make them more easily teachable. Put simply; a direction is given, the learner will respond and will receive a reward if they give the correct response. An example situation may involve, for instance, instructing the learner to shake a tambourine or match two identical pictures together and, upon a correct response, will be given a piece of chocolate or verbal praise. The learner may be guided with subtle hints and prompts towards what the right response is supposed to be, which will then be faded out and removed once the learner’s correct response grows more consistent and independent. This kind of teaching between the therapist and the learner usually takes place at a table, during a one-to-one session with an entire planned system of what the requests and responses need to be worked on and which strategies will be implemented to help this step-by-step process. An example situation could involve teaching a child to ask someone for a particular toy, say, a ball. The first step could involve teaching the child to ask by just labelling the toy just as ‘ball’. Once this skill has been mastered, the next step could move on to teaching the child to add ‘I want’ alongside ‘ball’ when requesting the toy. In line with the ABA principles and reinforcement strategies, the child would gradually learn to put these skills together independently without the use of any hints or prompts to finally master the entire functional skill of asking for an item. Despite the artificial setting and conditions of DTT sessions, the approach is still extremely effective in teaching basic motor, communication and social skills. Further ABA programming can then be implemented later on to help equip the learner to gradually be able to generalize their learned skills more spontaneously in a natural environment. Ideally, the therapy and teaching process would start out in an environment that isn’t overloaded with distractions that would make it hard for the learner to concentrate on what they are doing. However, it is important to prepare the appropriate behavioural programs which aim to ensure that a certain skill and targeted behaviour can be expanded and mastered both in an artificial setting and independently in any other environment. This complete, inclusive intervention shows that an ABA program is not only restricted to discrete trial teaching. The skills that are learnt during these trial drills will then be practiced in the natural environment and transferred to natural settings. These skills will be considered mastered once they have been successfully practiced across different settings, various times of the day and a range of people without needing to stick to one very specific set of conditions that would be found in DTT. Learning needs to be carried out and continued day in day out in order for it to become effectively generalized and for the learner to truly own the skills they have learned. For instance, a child may be taught how to take turns during therapy and will then need to expand this skill into taking turns with other children at school, or at home with siblings, even though they have never practiced it there before. Another example could be teaching a child how to greet someone, their parents, for instance, with a ‘hello’ or ‘good morning’, and the child is then able to use the greeting with a variety of other people too. Similarly, a variety of people would efficiently be able to generalize the idea that, for instance, no means no. This means that if a child tantrums for candy, all parents, grandparents and relevant family members would need to be resolute in not giving in to the child’s whines, and this way, they would all be teaching the child the same thing. In a therapy setting, it would be helpful for the learner to have more than one therapist working with them in order to facilitate the generalization process across different people. Why should ABA Therapy be used with a child with autism? The success and effectiveness of ABA therapy is widely recognized and highly evidence based, having helped facilitate the lives of many people with autism safely and productively. There are a good number of ways in which ABA strategies can help and support individuals with autism. First of all, ABA methods help teach learners both basic and more complex social, communicative and functional life skills through methodically organized teaching and the use of reinforcement principles. Furthermore, these methods not only help to increase any positive targeted behaviour, but also work to maintain these behaviours, such as self-help, self-control and functional social skills, applicable also to work settings. Similarly, these methods would also decrease any kind of interfering behaviour such as self-injurious behaviour or stereotypical behaviour. Moreover, ABA helps with the generalization and expansion of behaviours across different settings and situations, different people, and at different times. Thus, a learner would be able to apply learned skills and respond to a situation in the same functional manner be it at school, work or home, with family, friends, co-workers or any other person, at any time of the day. A child is able to complete a piece of work at a table at home just as well as they would in a formal school classroom in the presence of a teacher and classmates. Furthermore, ABA methods could modify a learning environment to make sure the conditions do not reinforce any interfering behaviour, and improve the learner’s ability to concentrate and comply with tasks with increased motivation. All this is possible because ABA relies objectively on the consistently dependable measurement and assessment of observable behaviour. Is ABA Therapy only used for people with Autism? Not at all. ABA strategies are entirely based on behaviour, so where there is any sort of observable behaviour that can see an increase or decrease, then ABA can be used for it. These behaviours include socially significant ones such as social skills, fine and gross motor skills, general communication, academic and work skills, as well as increased adaptive living skills that involve general self-care, that is, toileting, feeding, self-dressing and self-maintenance. 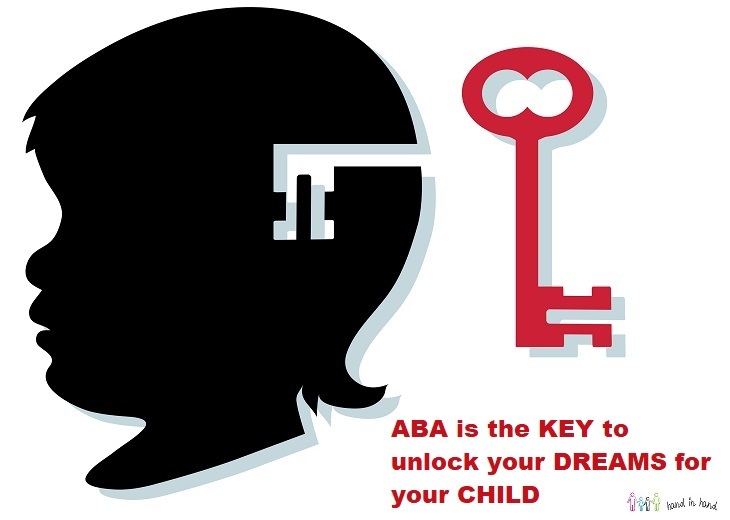 Thus, ABA programs are beneficial and successfully effective for individuals anywhere on the spectrum, as well as those with Emotional Disorders, Down Syndrome, General Developmental Delay and Cerebral Palsy, among others. ABA programs have also been globally successful in treating a wide range of behavioural and social issues, including but not limited to addictions such as smoking and gambling, personality and obsessive compulsive disorders, and behaviour management in organizational settings. 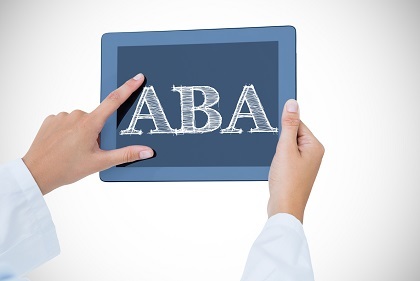 What is an ABA program? For an ABA program to be effective, it needs to be tailored to the individual. No single set program is suited for every child with autism. A qualified behaviour analyst devising the program needs to take into account the individual’s skills and particular needs after a thorough assessment before finding the right strategy that will work for them. Following the assessment, the behaviour analyst will take family preferences into consideration when devising goals that would be beneficial and developmentally suitable for the child to communicate more functionally as well as develop the necessary social, academic, play and self-care skills to improve their quality of life independently. The program consists of skills that are broken down into smaller, more manageable components, such as imitating a mouth movement, before leading up to a more difficult step, such as saying an entire word. The child would benefit from being given different opportunities to learn with a mix of behaviour analytic strategies. ABA programs require consistent positive reinforcement to be used when the targeted positive behaviour is present, for instance when the child carries out the right skill or the correct behaviour. This will simultaneously encourage positive social interaction and make for a pleasant learning experience. Conversely, there will be no positive reinforcement for maladaptive, harmful behaviours that hinder the learning process. Data collection is crucial to the process in order to have a visible, objective measure of the child’s progress and take note of any changes in behaviours or the process of learning particular skills. The supervising behaviour analyst will then review the recorded data and make the necessary adjustments in the programs accordingly. Therefore, it is helpful for the analyst to hold regular meetings with the family members, caregivers and staff in order to go over the child’s progress and work together to go through any present issues and plan ahead. For there to be consistent progress and support, the child’s family members need to be trained properly in order to maximise the child’s learning opportunities and practice the targeted skills all throughout the day. ABA programs also take into account that tasks and skills must be generalized in order for the child to behave functionally and be able to use their learned skills across different environments. While a number of skills involved in ABA programs are learned in highly structured, artificial environments, the child’s day must then effectively be arranged in a way that provides other opportunities for the child to gain and practice skills under different sets of conditions. What kind of progress can be expected? Many studies have shown that ABA strategies and techniques can lead to enhanced progress and improvement across a wide range of ages in social, play, academic, communication and self-care skills as well as in work and community environments. Children with autism would benefit greatly from combining a variety of ABA strategies into a tailored learning process to make for effective early intervention. Such interventions would begin at a very young age, occurring weekly between 25 up to 40 hours, and target a wide range of skills involved in communication, social situations, academics and self-care. Moreover, the programs involved in this intervention enable children to maximise their learning progress and practice the skills they are being taught across different sets of conditions, whether it is a structured environment, or a more natural, unstructured setting. The intensity of the program is also important to maintain a consistent system of imitating and learning the skills and behaviours of other children as they interact with their own family and peers. Research has yet to establish why some individuals with autism perform better than others. 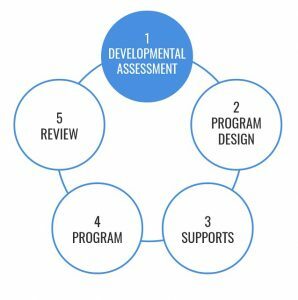 However, while it is difficult to establish precisely how much a child will benefit from early intensive ABA, many children with autism have experienced major improvements in communication, learning, and perceptive and adaptive skills, thanks to well executed, adequately devised ABA programs. Moreover, a greater improvement in a wide range of skills has been observed in children who go through intensive ABA therapy than those who undergo other types of interventions. Many children of a young age who undergo early intensive ABA therapy for over 2 years are able to obtain the necessary skills required to help them participate in mainstream classrooms fairly independently, only needing little extra support, or sometimes even none at all. Other children may successfully learn these integral basic skills however would still require a certain level of support to be able to manage well in a general classroom setting. Thus, with careful attention to detail and ample training delivered through well-executed ABA intervention, children with autism can progress step-by-step into making considerably meaningful improvement in many areas of their lives. Is the ABA process too unnatural for the child’s learning process? On the contrary, ABA strategies take full advantage of every possible opportunity to maximise learning and help the child progress more. It may only seem unnatural purely because the situation might need the typical learning process to take a step back into the smaller basics that need much more focus and emphasis than a learner would usually need. Gradually, the ABA process helps the child become capable of learning in the same manner as their surrounding peers and the teaching process will look much more natural. It is mistaken to assume that a child with autism would be able to be able to learn in the same way and rate as other children right off the bat without any prior help. There needs to be a set of prerequisite skills put in place before the child can make any sense of what is going on around them. In a mainstream classroom, a teacher may be discussing something that the children would find fascinating, such as the way flowers grow. While other children would be able to internalize and enjoy the subject easily, a child with autism would first need to understand a number of other components before being able fully comprehend and enjoy the subject too. First they would need to understand that flowers fall under the category of plants as well as the idea that one thing, the seed, can change into another thing entirely; the flower. Additionally, they would need to understand the process of growth and the sequence order in which the flower grows into a bud and later blooms. Besides having to process the changes in time periods wherein the seed is in the past and the flower is now in the present, they would also need to learn the meaning of ‘open’; the way the petals would in bloom. Besides these prerequisite skills in understanding, the child would also need to have a good level of attention set in place in order to be able to sit and listen to what the teacher is saying at all. Without these skills, the child would not be able to keep up with the teaching process being carried out in the classroom. The extensive research carried out to support ABA strategies in learning are why sessions are persistently focused on table-top work, and why the constant repetition and the use of treats and desirable toys should be consistent rewards. These methods simply maximise a child’s progress and ability to develop and learn. It may be easier to think of the process as more natural if it were compared to a parent teaching their young child to wave ‘bye’. The young child starts off not knowing what to do when the parent waves at them, perhaps even loses interest. However, when there is the slightest hint of a response, like the child wiggling their hand, the parent immediately bursts into lots of positive attention, hugging and cheering. When this is done repeatedly, the young child will then eventually be encouraged to learn to wave ‘bye’ independently when the situation calls for it. This whole thing is basically positive reinforcement which is effective in helping any and all of us learn. This kind of thorough process is crucial for children with autism, and once it has been consistently carried out appropriately, the child will eventually be able to learn in a more natural manner without the involvement of any other processes. They cannot simply jump ahead without receiving the support they need in the social, academic and play areas of skill. Would ABA program drills make the child miss out on playtime and school? ABA programs are not centred entirely around working on discrete trial drill teaching. Initially, it may form a big part of ABA, however the very same principles are used to help the child learn integral, basic skills across a variety of other settings like school classrooms, the natural environment at home or out in the community. Every child is constantly learning something new, most times without realizing it is happening. It is, however, crucial for the adults in charge of the child’s learning process to make good use of every opportunity they are able to come across. This includes the involvement of the relevant adults in a school setting too, alongside the child’s parents. While children with autism can indeed attend school with the rest of the children, it not will benefit them in the least if they have not been prepared to learn in that particular setting. They will also face a difficult struggle if the school is not on-board with endorsing the ABA techniques required for the child. There is a very high risk of the child falling into undesirable maladaptive behaviours such as stereotypical, aggressive or self-injurious behaviour. The involvement and actions of the teachers, parents and any relevant responsible adult for the child could be the reason for these behaviours increasing or decreasing. It is vital that everyone works consistently hand in hand, in line with the necessary ABA strategies based on the child’s behaviour, to ensure that the child is able to progress and learn rather than sink into maladaptive behaviours. This means the child will definitely need lots of time to learn and practice, which is essential for them to be able to participate functionally in activities alongside other children. If a child is not taught the adequate basic skills such a language, attention, play and social skills needed to help them make sense of what is going on around them, it will be next to impossible for the child to benefit or gain anything positive from a classroom or social setting. Not only will it negatively impact the child by making them feel lost and frustrated, but it will also be difficult and agonising for the parents to watch their child be unable to integrate functionally with their peers, whatever the setting. Therefore, ABA programs should not be seen as anything more than endless drills leading nowhere past that point. They are essential. They help the child expand and generalize their learned skills across different settings and environments. This is made easier if the responsible adults take advantage of any opportunities and structure their environment to help increase the child’s progress and development towards functional behaviour. The key to progress is making sure the child has all the right support they absolutely deserve.